South India's cultural heritage is very rich. The Tanjore district, in particular, is very famous for not only the paddy fields but also fine arts. 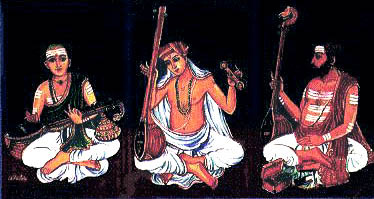 Places that link Mayavaram and Tanjore have been the birthplace of galaxy of great carnatic musicians besides producing the best Vaggeyakarakas such as Saint Thyagaraja, Sri Muthuswamy Dikshitar, Sri Sama Sastry, Papanasam Sivan, who is also known as the 'Tamil Thyagaiah', and many more composers. This could be the result of the serene atmosphere and divine attributes of the Cauvery delta. The historical and architectural remains and beauties of the many majestic temples in the Tanjore District take the visitors and passersby to a heavenly feeling. The best example for it's architectural beauty is undoubtedly the majestic Brihadeeswarar Temple at Tanjore. Banks of the Cauvery river with it's grassy lands, the refreshing gush of the wind finding it's way eternally through the trees, the river Cauvery twinkling with ripples in the bright sunlight and the birds fluttering down the river will prompt even the unmusical men and women to sing. In this glorious atmosphere and environment charged with God's grace, there emerged some of the all time great musicians such as Sarvashri Semangudi Srinivasa Iyer, Maharajapuram Viswanatha Iyer, Maharajapuram Krishnamurthy, Musiri Subramanya Iyer, Thuraiyur Rajagopala Sarma, Mannargudi Narasimhachariar, Madirimangalam Natesa Iyer, Kumbakonam Rajamanickkam pillai, Mayavaram Krishna Iyer, Mudikondan Venkatarama Iyer, Konerirajapuram Vaidyanatha Iyer, T.N.Rajarathanam Pillai, Vazhuvur Ramaiah pillai, Manakkal Rangarajan, Srivanjiyam Mani Iyer, Tirumathi K.B. Sundarambal, Tirumathi N.C.Vasantha kokilam...oh! the list is endless. One of them was the legendary singer-actor and carnatic musician, Sri M.K.Thyagaraja Bagavathar. Sri M.K.Thyagaraja Bhagavathar's birthplace was Mayavaram. He was born on 1.3.1910. His father, Krishnamurthy, goldsmith by profession was not well off when MKT was born. MKT's mother Manikkathammal hailed from Tanjore. Later on MKT's family moved to Trichy and settled there permanently. Thyagarajan was sent to the Old Jabamaalai Koil School, Palakkarai, Trichy for his early education. Thyagarajan never took interest in studies. Instead, his attention was drawn only towards listening to music and singing. During his childhood, the thevaram and thiruvasagam songs and the drama songs of S.G.Kittappa attracted him keenly. His father was not at all happy with his singing for the reason that the stage artistes of that period enjoyed very little respect in the society. Nor was the remuneration they received attractive. But Thyagarajan's inclination towards music was so strong that he left the house one day without informing anyone ! Thyagarajan's parents were deeply worried and started searching for him. On enquiry, Krishnamurthy came to know from his friend that he had seen Thyagarajan in Cuddappah and further learned that his son's music had attracted one and all there resulting in a heavy demand for him from all quarters. Immediately Krishnamurthy left for cuddappah and found out much to his delight and surprise that his son was mobbed everywhere and whenever he started singing songs in praise of God. 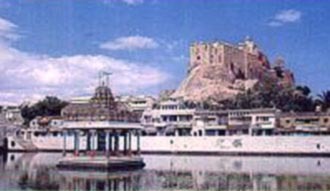 Krishnamurthy then took his son to Tirupathi where the peshakar of the temple, after hearing the boy's divine music, blessed him with the prasadam. On his return to Trichy with his father, Thyagarajan took part in almost all the bhajans that were organised by the temples and sabhas of the town. His fame as a musical prodigy spread thick and fast. It found an opportunity to spread further through Mr.F.G.Natesa Iyer, a railway employee, who was running a drama troup in Trichy by the name of Trichy Rasika Ranjani Sabha. Mr.Iyer, infact, was on the lookout for a boy to act in his drama 'Harischandra' as Lokidasan. He approached Krishnamurthy and got his approval after much persuasion to take Thyagarajan in his drama troup. Incidentally, Mr.Natesa Iyer has acted as Easwara Iyer in the film 'Seva sadanam' starring M.S.Subbalakshmi. 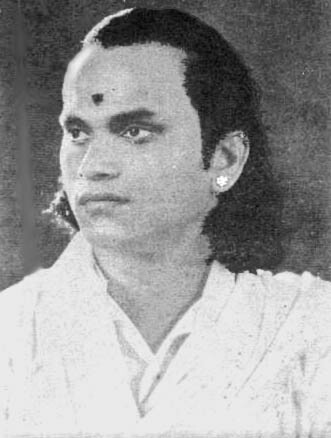 Harischandra was the first play Thyagarajan acted. It proved to be a very great success and Thyagarajan became a star overnight. His fame as a child prodigy spread like a wild fire in Trichy and other places. He was then ten years old. 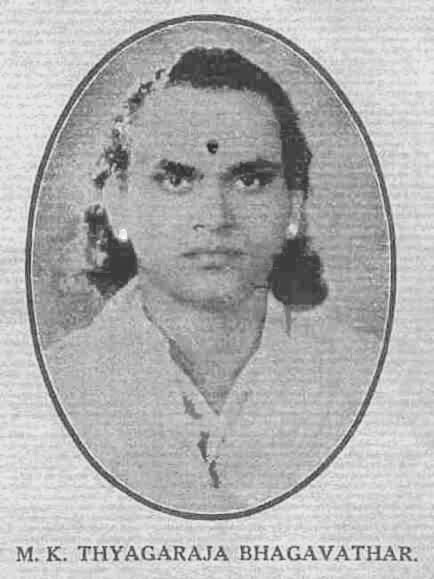 Madurai Ponnu Iyengar, a famous violin vidwan of that period happened to see the drama 'Harischandra' in which Thyagarajan acted as Lohidasan and was very much impressed with Thyagarajan's rendering of the songs purely on the knowledge gained through listening and observing. He immediately volunteered to train him in traditional carnatic music without taking any fees keeping in mind the poor financial condition of Krishnamurthy. Thyagarajan was very sincere in learning music. 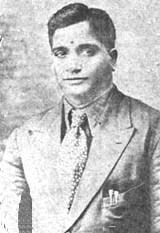 Simultaneously he also had his training in stageplays from Nataraja Vadiyar(who wrote the famous song 'Kaayada Kanagathe' and 'Androru Naal', both popularised by S.G.Kittappa and 'Gnanakumari' popularised by MKT), Narasimha Iyengar (a close relative of M.S.Vijayal, a famous cine actress of that period) and Subbayya pillai, who was well known for his expert coaching in Swaraprayogam. After rigorous training for six years, Madurai Ponnu Iyengar wanted to organise Thyagarajan's first classical music concert at the Peria Kaaliamman temple situated at Kamala Street in Trichy. He approached the then very famous Mridangam Vidwan Sri Dakshinamurthy Achari, a disciple of the famous Ganjeera vidwan, Pudukottai Dakshinamurthy pillai, who was well known as Abhinava Nandikeshwarar. Dakshinamurthy Achari was reluctant to play the mridangam to a young boy which he thought was below his dignity. When Dakshinamurthy pillai came to know about this, he immediately summoned his disciple and implored him to play the mridangam in the concert. Dakshinamurthy pillai himself played the ganjeera while Madurai Ponnu Iyengar himself played the violin and Dakshinamurthy Achari, the mridangam. The concert went on for well over three hours. The listeners were spellbound. After the concert, 'Abhinava Nandikeswarar' Dakshinamurthy pillai openly admitted in his speech that he had never ever heard such a sweet voice and such superb handling of ragas by any other boy of that age and added that Lord Muruga has gifted to the carnatic music world a wonderful gift. He then conferred the title Bhagavathar on Thyagarajan. Trichy Thyagarajan became Thyagaraja Bagavathar. 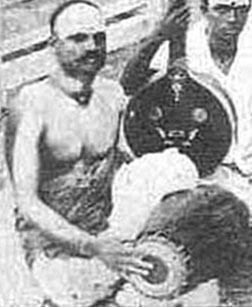 Dakshinamurthy Achari deeply regretted for his initial refusal to play the mridangam and sincerely apologized to Ponnu Iyengar. Folk arts, which contain dialogues, songs and dance, were generally based on episodes from ancient epics like Mahabaratha, Ramayana etc. The stories taken from these epics and hearsay legends were the content of the stageplays that came into force during the beginning of the 20th century. Ancient tales such as Harischandra, Pavalakkodi, Sarangadara, Valli Thirumanam, Kovalan, Lalithangi, Nandanaar and Bama Vijayam were selected for stageplays. These plays were staged in temples and festivals. They created a sense of bhakthi(devotion), patriotism and loyalty towards the King. The Rajahs were the main patrons of these fine arts. A form of dance called 'Sadir kutchery', dramas, music concerts and spiritual discourses were then regularly conducted in the temples. The beginning of the 20th century saw the emergence of drama troups such as the Jagannatha Iyer Boys Company, Madurai Balameenaranjani Sangeetha Sabah, Sri Balashanmugananda Sabha, Kanniah Company, Nawab Rajamanickkam's Sri Devi Bala Vinodha Sabah, Vairam chettiar's Sri Rama Bala Gana Vinodha Sabha etc. These drama troups introduced giants such as S.G.Kittappa, T.K.S.Brothers, N.S.Krishnan, Kali N.Rathnam, K.P.Kesawan, K.K.Perumal, K.P.Kamatchi, P.U.Chinnappa, S.V.Sahasranamam, M.V.Mani and M.G.Ramachandran (yes, the former CM of Tamilnadu). During the initial stages, artistes such as J.Sunder Rao, Parameswara Iyer, T.P.Ramakrishnan, Rangawamy Iyengar, K.S.Ananthanarayana Iyer and P.S.Velu Nair did the female roles which was popularly known as the 'Stree Part' in plays. Later, K.B.Sundarambal, S.D.Subbalakshmi, Rathna Bai, Ramani Bai, Saraswathy Bai and T.P.Rajalakshmi did the stree part, out of which K.B.Sundarambal paired with S.G.Kittappa and S.D.Subbalakshmi with M.K.Thyagaraja Bhagavathar. 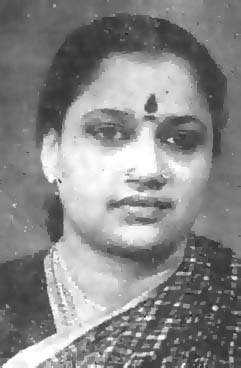 K.B.Sundarambal became the wife of S.G. Kittappa and S.D. Subbalakshmi became the wife of the famous cine-director K.Subramaniam. Normally the plays would start at 9 p.m. and end at around 4 a.m. The heros would appear in the stage by singing a thyagraja kriti, though irrelavent to the play, with elaborate use of musical scales or gamut. Since almost all of them had a very sweet and melodious voice, the audience was never really bothered about the irrelevancy of the song. It was the period when music dominated over acting and a torrential downpour of dialogues. 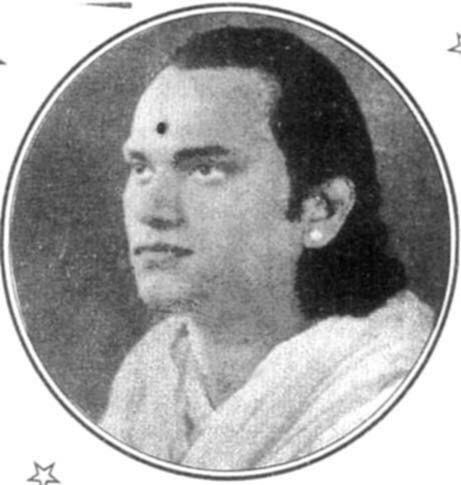 Pavalakkodi was the first stageplay in which Thyagaraja Bhagavathar acted as the hero in 1926. It was staged in Officers line, Golden Rock, Trichy. T.P.Ramakrishnan played the heroine's role. T.P.Ramakrishnan later became a carnatic music vidwan at AIR, Trichy. Couple of years later, S.D.Subbalakshmi paired with Bhagavathar and the pair created history instantly. The MKT-SDS pair was rated equal to S.G. Kittappa and K.B. Sundarambal. The dialogue delivery of MKT and SDS and the healthy and electric exchange of words leading to the pulling of each other became very famous. MKT was perhaps the biggest draw among the singers of that period. His songs reigned over the hearts of the tamil people not only in India but also in Sri Lanka, Burma, Malaya and Singapore. MKT never identified himself with any drama troup in particular as others did. His plays were called 'Special Naatakam' because he shifted from one company to another as his mood and purse dictated. The daily wages to Bhagavathar rose to Rs.50, which was considered a very big amount in those days. He had plays booked continuously for many days without gap. One particular incident from his pre-cinema days is worth mentioning here. Once S.G.Kittappa came to Trichy to stage his 'Valli Thirumanam'. S.R.Radhakrishna Bhagavathar, who would normally play the role of sage Narada in the play, fell ill. The contractors, Kannia and Company, suggested to Kittappa to allow them to engage MKT for the role of Narada. Initially Kittappa agreed to this suggestion and asked S.R.Radhakrishna Bhagavathar to coach MKT. S.R.Radhakrishna Bhagavathar gleefully agreed and trained MKT well. But suddenly, Kittappa changed his mind and asked the company to wait till S.R. Radhakrishna Bhagavathar recovers. MKT was upset as he felt that he lost a golden chance to act with a person whom he mentally cherished as his Guru in plays. At a later point of time, when Kittappa came to know about the exceptional singing ability of MKT, he watched MKT's 'Valli Thirumanam' staged at Sengottah in which MKT sang the Thyagraja Krithi 'Rama Nee eda' in Kharaharapriya. Kittappa was dumbfound as were the spectators on listening to the rendition. He applauded instantaneously and even asked for 'once more' of the song. Bhagavathar readily obliged the request of Kittappa and the spectators. Then Kittappa came upon the stage and presented him with a gold chain studded with corals and informed the gathering that the title 'Bhagavathar' was perfectly appropriate to the great singer. Bhagavathar later said that the appreciation and gift from Kittappa gave him immense prestige. Devudu Iyer, a very famous double harmonium player played the harmonium in all the plays by MKT. 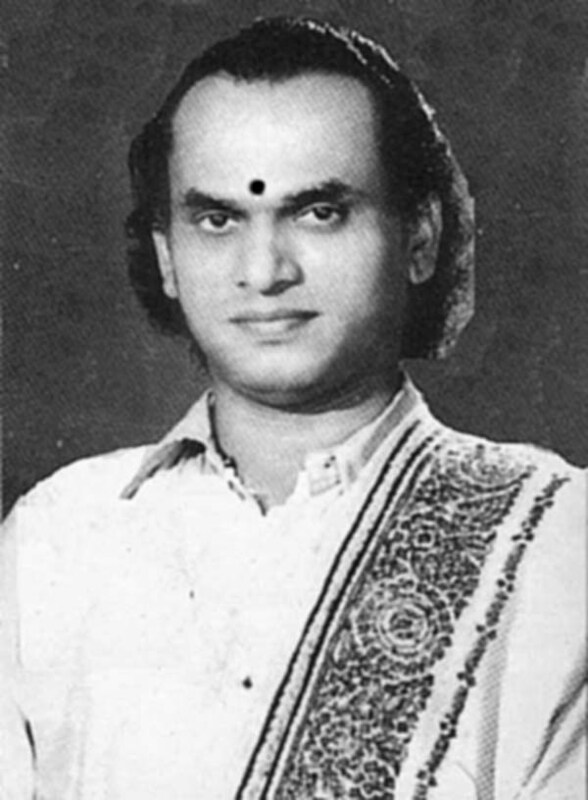 Later, Sri G.Ramanathan, the famous music director, also played harmonium in MKT's plays. In subsequent years, G.Ramanathan and MKT came together to create an era in film music. The glorious career of MKT in stage drama flourished and he was invited to stage his plays in almost all the towns of the Madras Presidency.